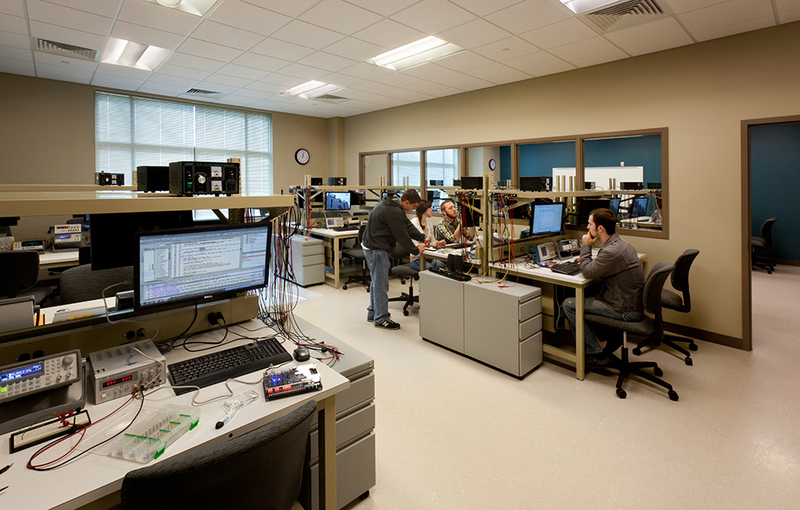 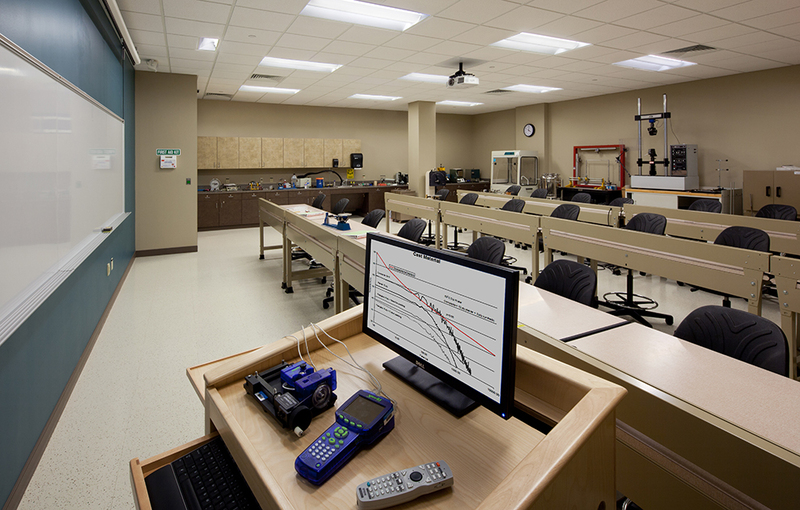 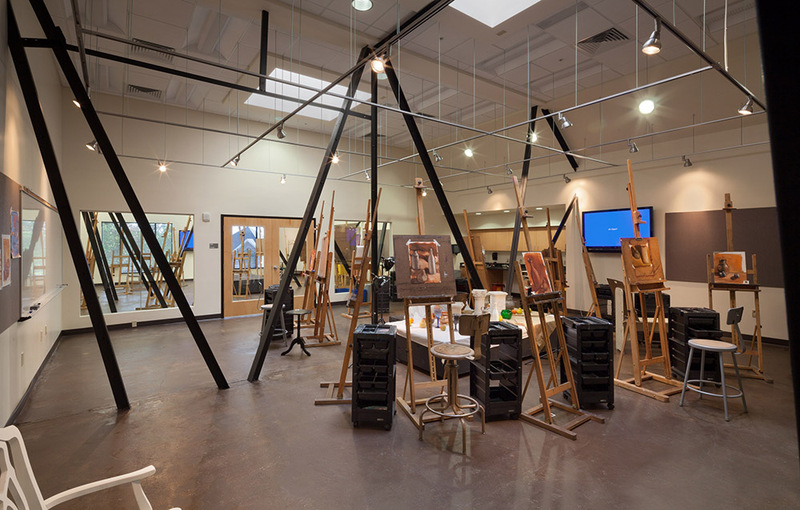 The Lee and Alice Balzer Technology Center at John Brown University (JBU) is currently comprised of 150 students and 12 full-time faculty. 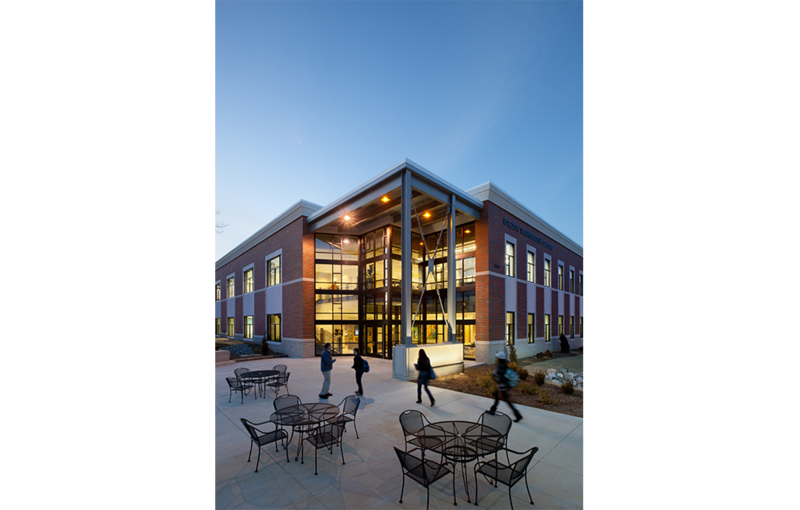 Because of program growth in mechanical and electrical engineering and a pilot program in renewable energy, JBU chose to expand facilities to accommodate 300 students and 16 faculty. 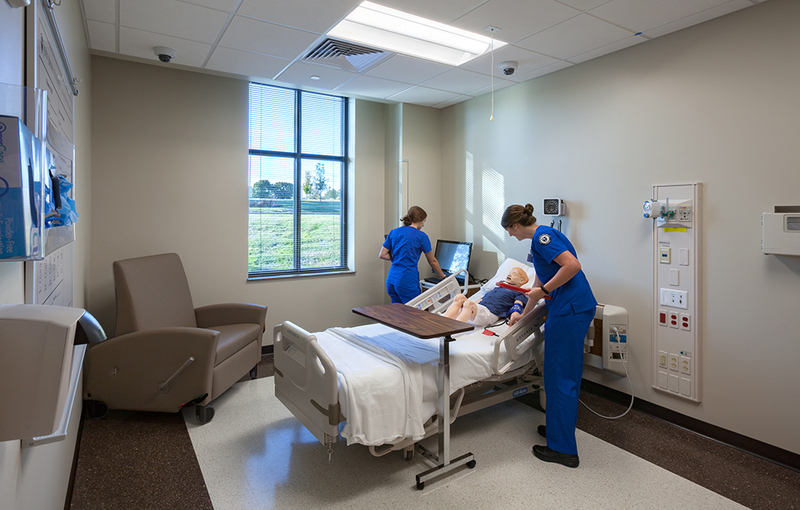 The university selected Hastings+Chivetta to provide planning and design services for a new facility. 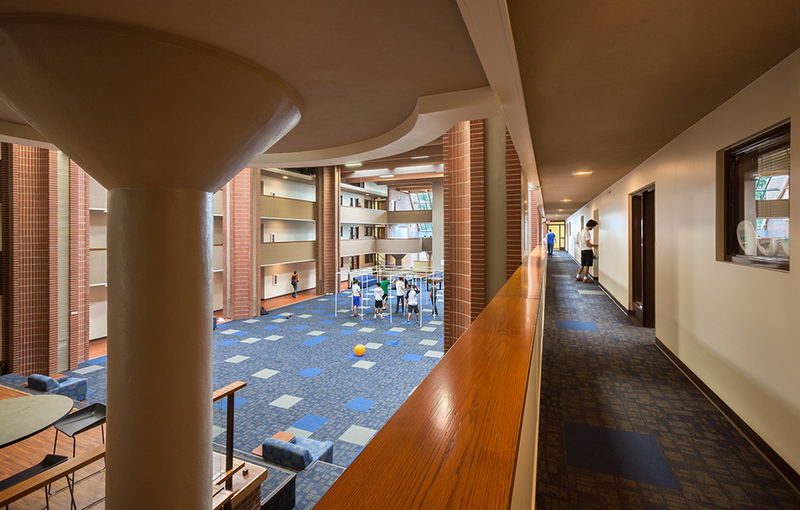 Previously, the engineering and construction management departments were scattered across campus in three buildings and occupying spaces that did not meet programmatic needs. 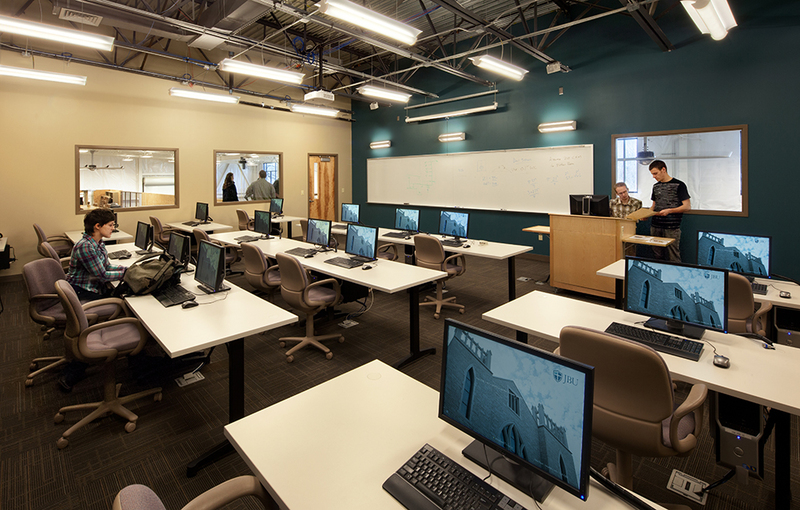 The new building gives students and faculty spaces tailored to the curriculum requirements of each department. 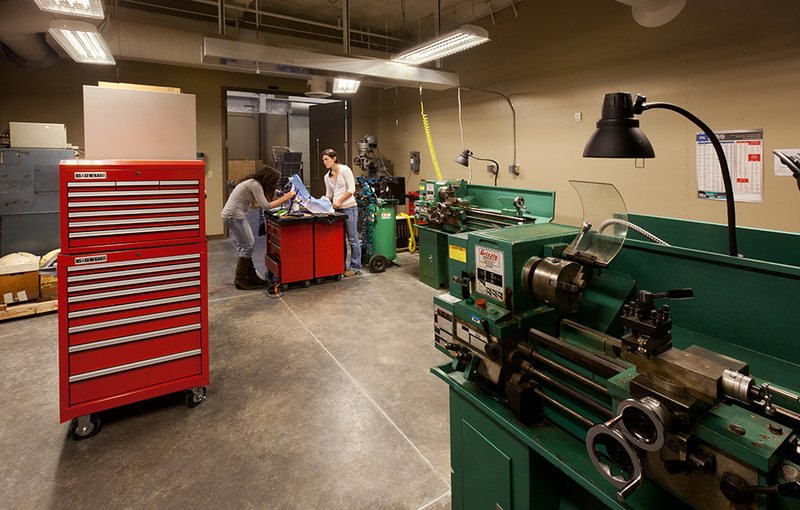 Students have access hands-on learning in state-of-the-art makerspaces that are in close proximity to study spaces and professors’ offices. 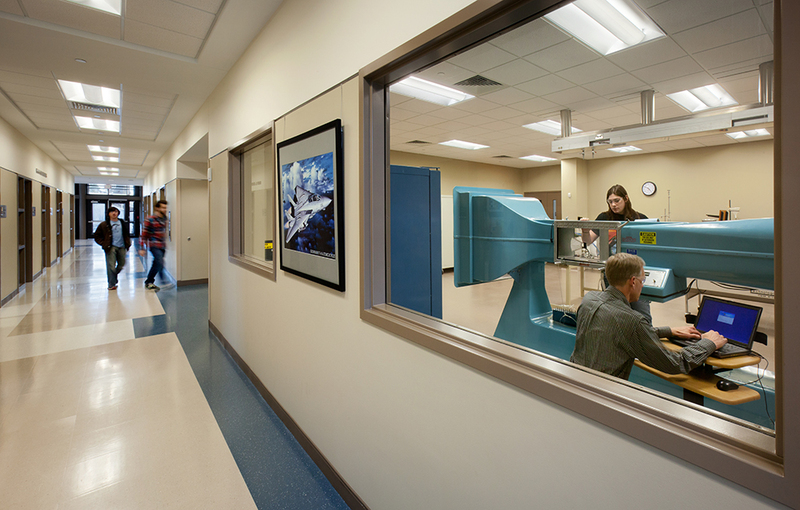 Spaces in the building include: general classrooms, an electronics lab, an optics lab, a renewable energy lab, construction management labs and a high bay structures lab. 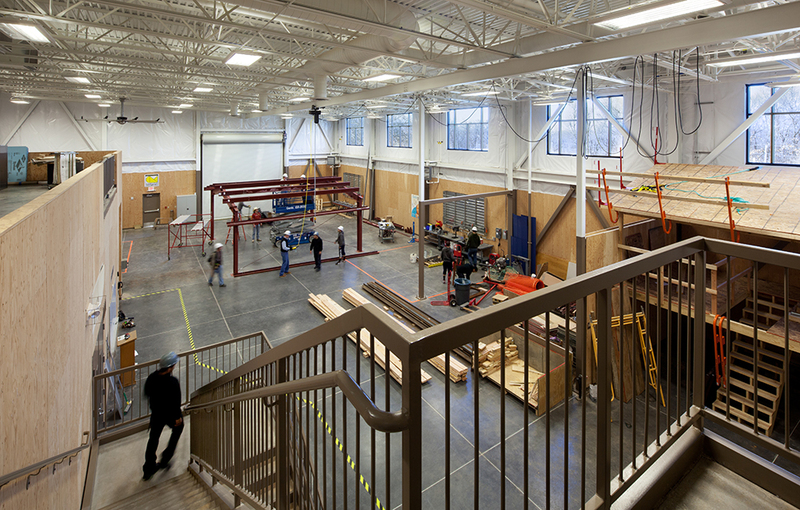 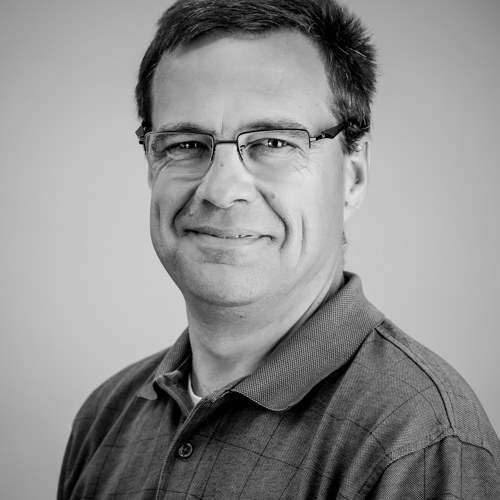 In addition to full architectural services, Hastings+Chivetta also provided engineering design services. 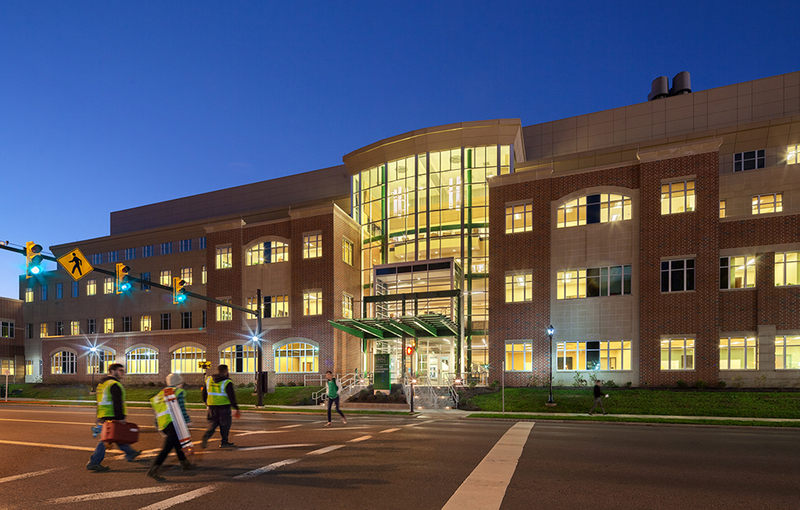 The building incorporates energy recovery for the high bay laboratory and welding shop, a high efficiency heating water system and building wide lighting control system. 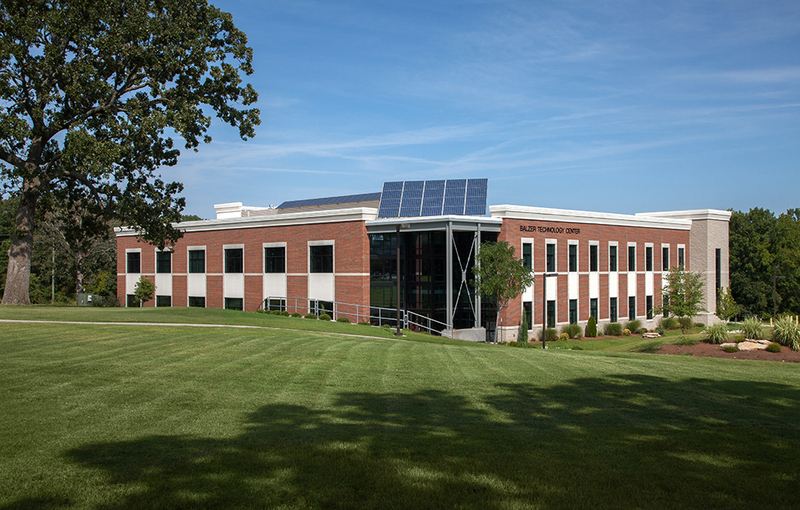 The HVAC system for the building includes a rooftop variable air volume system, and a high air volume ventilation air system provides passive cooling during the summer months.